The Unist’ot’en homestead is not a protest or demonstration. Our clan is occupying and using our traditional territory as it has for centuries. Our free prior and informed consent protocol is in place at the entrance of or territory as an expression of our jurisdiction and our inherent right to both give and refuse consent. Our homestead is a peaceful expression of our connection to our territory. It is also an example of the continuous use and occupation of our territory of our territory by our clan. Our traditional structures of governance continue to dictate the proper use of and access to our lands and water. Today all of our Wet’suwet’en territory, including Unist’ot’en territory, is unceded Aboriginal territory. Our traditional indigenous legal systems remain intact and continue to govern our people and our lands. We recognize the authority of these systems. The Wet’suwet’en Hereditary Chiefs have maintained their use and occupancy of their lands and hereditary governance system. 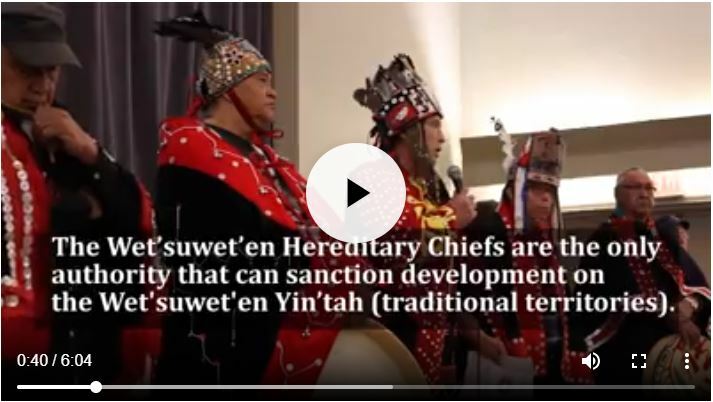 Wet’suwet’en Hereditary Chiefs are the Title Holders and maintain the authority and jurisdiction to make decisions on unceded lands. 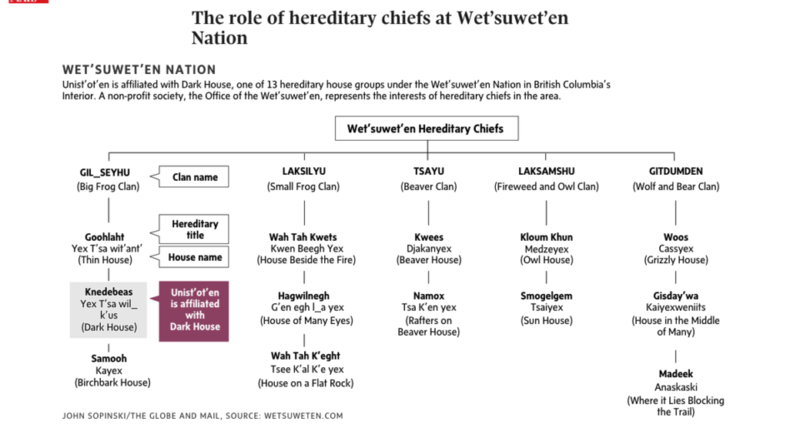 The 22,000 square km of Wet’suwet’en Territory is divided into 5 clans and 13 house groups. Each clan within the Wet’suwet’en Nation has full jurisdiction under their law to control access to their territory. Press release: Hereditary Leaders from Across BC Stand Behind Wet’suwet’en and the Assertion of Their Traditional Laws.